Alberta's education minister is threatening to pull funding from 28 private school authorities if they don't comply with legislation permitting gay-straight alliances. 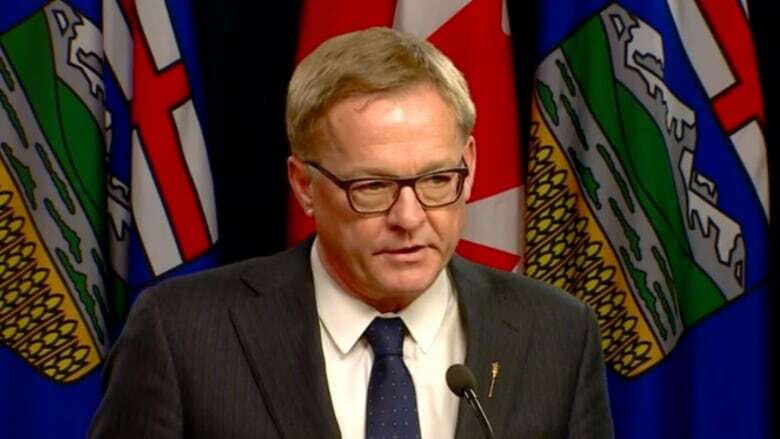 David Eggen said he has issued ministerial orders establishing standard policies for GSAs for the 28 private school authorities that have failed to meet requirements under An Act to Support Gay-Straight Alliances which passed in December. "It is my expectation that these school authorities shall comply with the ministerial order," Eggen told a news conference Wednesday. "If they don't, they will lose their taxpayer funding subsidy for the next school year. "Following this law is not optional," Eggen warned. "Ensuring that vulnerable students feel safe is not optional in the province of Alberta; not in today's Alberta and not when you receive up to 70 per cent of your funding from taxpayers. "If you're taking public money, you follow the law." Eggen said to his knowledge no Alberta education minister has ever held back funding from a private school for any reason. The 28 schools, which represent about 4,000 students, must post the standard policy in a prominent location on the homepages of their websites by June 30, 2019, he said. If they wait until the last moment to comply "that doesn't bode well" for their future, he said. Eggen would not say whether he would close the schools altogether if they continued to defy the law. "The right for a school to exist also is under The School Act, under the minister's approval," he said. Eggen praised the 66 remaining accredited, funded private school authorities that did meet the legal requirements, many of which he said worked one-on-one with the government in order to comply. "It's interesting, because we have the whole Catholic school system, which is a faith-based system [with] probably a 170,000 kids, 17 school boards, hundreds of schools, and they built compliance," he said. An advocacy group challenging GSA legislation in court says the ministerial order is "not properly grounded in law." The order overrides parental rights protected by the Alberta Bill of Rights and the Canadian Charter of Rights and Freedoms, said the Justice Centre for Constitutional Freedoms in a statement Wednesday.